An employee in the software development department of DraftKings, a daily fantasy sports company, walks past screens displaying the company's online system stats in Boston in September 2015. You can put down $100 bucks on the Patriots – and not even have to leave your house. But, what if you lost that bet? What if you want to then bet another $100 to get back the money you just lost? “Throw some alcohol in that. You have people who are so dedicated to their teams -- we think that that’s really a recipe for disaster -- that people are really going to lose control on sports betting,” said Diana Goode, the executive director of the Connecticut Council on Problem Gambling. Mobile betting is seen as a convenient way for people to get access to sports betting, as opposed to driving to a brick-and-mortar location and then waiting in a line to place a bet. But would that convenience ultimately pose a danger for those with addiction issues? Right now, the CCPG says that 35,000 Connecticut residents have been diagnosed with the clinical criteria for problem gambling disorder. Goode thinks it’ll be worse with mobile betting. 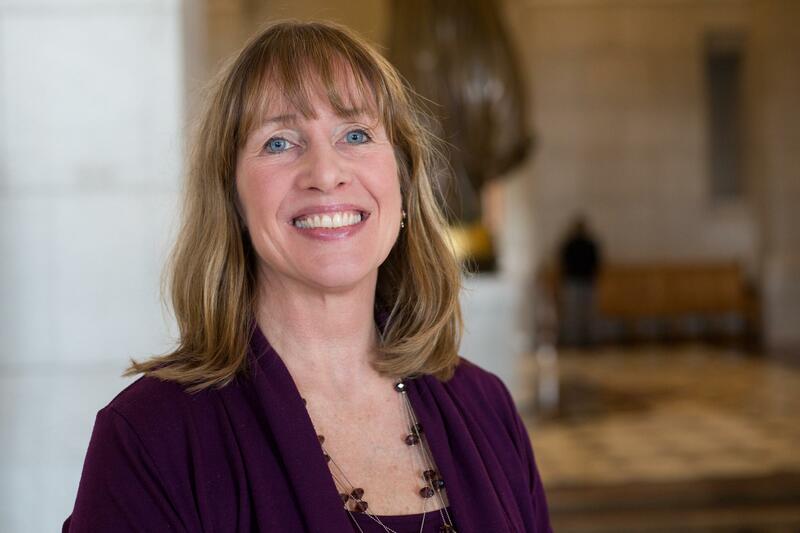 “We think the problem could potentially even double, so we would love to see additional funding coming to the Connecticut Council on Problem Gambling and other agencies that are working with problem gamblers,” Goode said. Diana Goode, the executive director of the Connecticut Council on Problem Gambling, is worried that mobile betting could lead some Connecticut residents into a gambling addiction -- maybe even doubling the number of people who currently meet the clinical criteria for problem gambling disorder. The state of New Jersey launched sports betting last June and then went mobile two months later. Neva Pryor, who runs the NJ Council on Compulsive Gambling, said that the council’s hotline is experiencing a 22 percent increase in calls. Pryor does say that part of the increase could relate to problem gamblers feeling empowered to reach out and talk about their habits now that sports betting is no longer illegal in New Jersey. Some sports betting advocates like Chris Cipolla, an executive with DraftKings, would tell you that mobile betting can actually help people who previously gamed in an unregulated market. DraftKings is a sports gaming outlet that offers a mobile betting platform in New Jersey. “The existence of mobile in and of itself is not a bad thing for problem gambling as there are safeguards that can be implemented very easily and are in the regulated market that do not exist in the illegal market,” Cipolla said. DraftKings would want to bid on any mobile sports betting operating license in Connecticut if the state goes that way. Cipolla said that the DraftKings app allows people to set play limits and deposit limits so that they don’t get in too deep. MGM Resorts International also wants the sports betting business in Connecticut. Scott Butera, MGM’s director of interactive gaming, said MGM invests $5 million a year for problem gambling. Butera said convenience is one reason to go mobile but he said the money the state would make on sports betting if they were to offer a mobile platform might push it over the top. “Initially, it can get well over $100 million and make its way to $200-$250 million pretty quickly,” he said. Those are big numbers – but whether MGM or Draftkings can get in on sports betting in Connecticut is unclear. So far, only local stakeholders have been included in conversations related to operating licenses at this point. 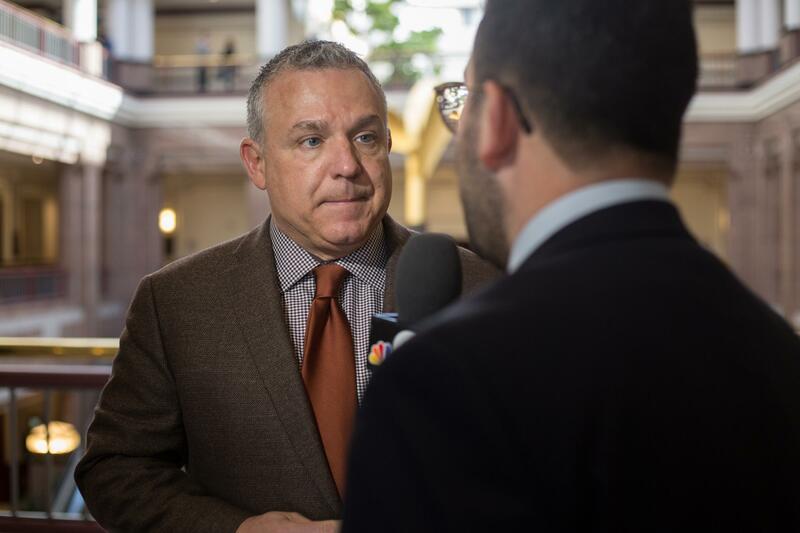 State Rep. Joe Verrengia believes that the best way for Connecticut to make money doing sports betting is to introduce a mobile gaming platform. He also acknowledges that expanded gaming could cause problems for some state residents, so he's proposing that two percent of any gross revenue generated from sports betting goes to problem gambling. State Rep. Joe Verrengia (D-West Hartford) chairs the legislative committee that last week passed sports betting related bills for consideration by the full General Assembly. He doesn’t deny mobile gaming’s potential impact. “I think in every state -- just about every state – you’re going to see a mobile platform because that’s where the money is,” Verrengia said. But if the state goes ahead with mobile betting, Diana Goode just wants lawmakers to think about the people who might become addicted to it. Verrengia said he recognizes the risks of any expanded gaming. In response, he’s proposing that two percent of all revenue generated from sports betting goes to problem gambling. If mobile sports betting really is the moneymaker that proponents say it is, then the two percent allocation would mean more help for problem gambling. Read the first and second report in this series on sports betting in Connecticut.